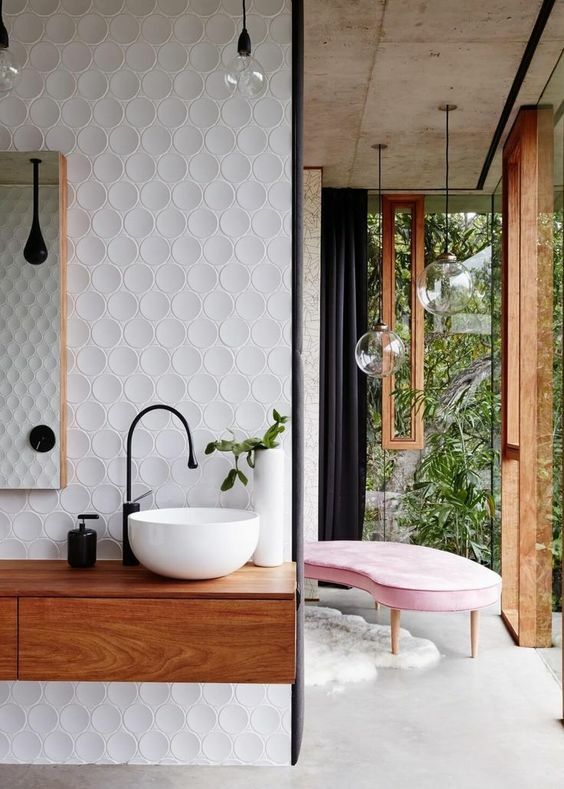 Soak the day away in these beautiful retreats. 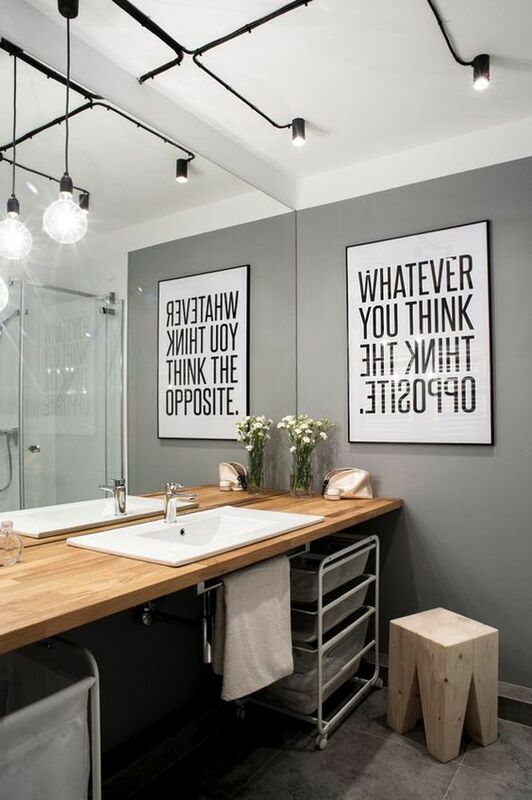 A very clever poster to start your day with. 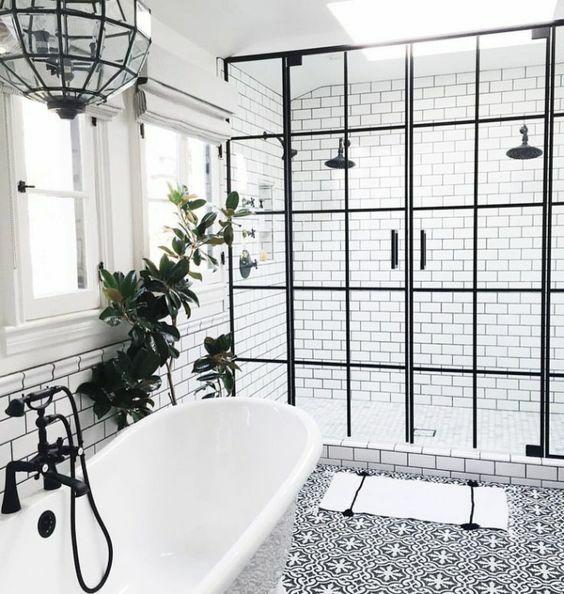 Love the industrial style lighting! 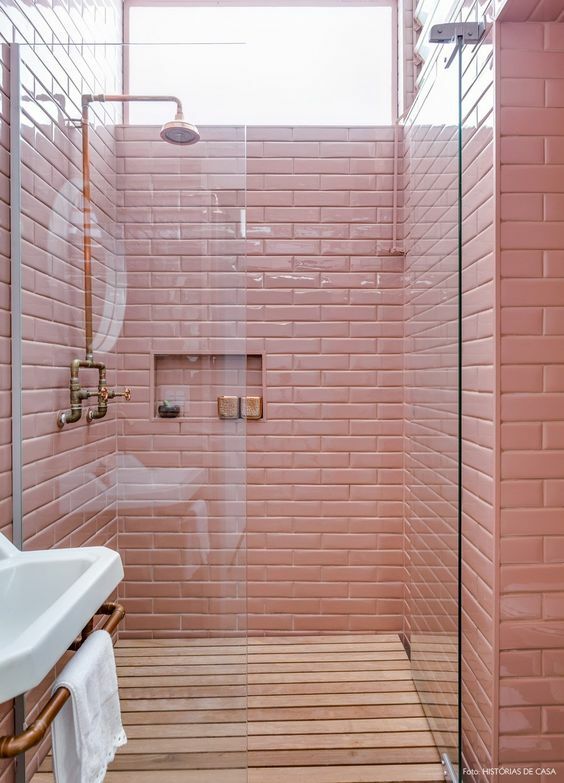 Pink Tiles with copper shower details and wooden decking. I like! 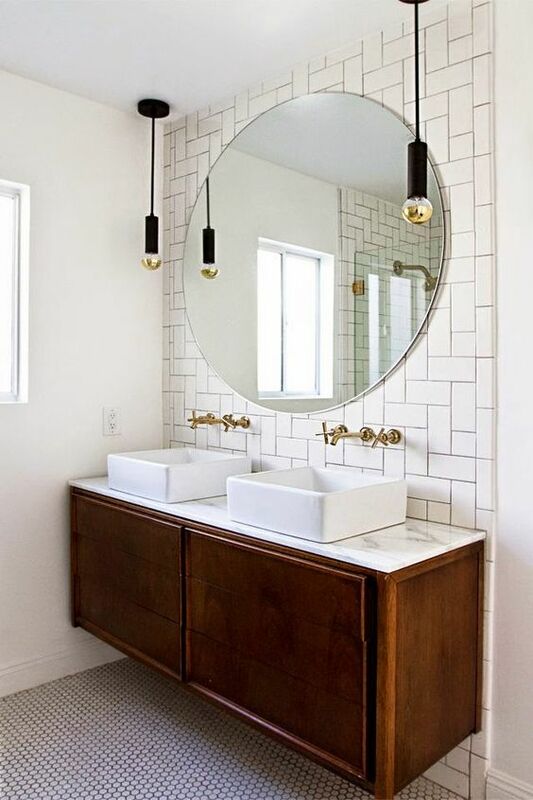 Modern subway tiling, a beautiful large mirror and marble top updates this vintage vanity. 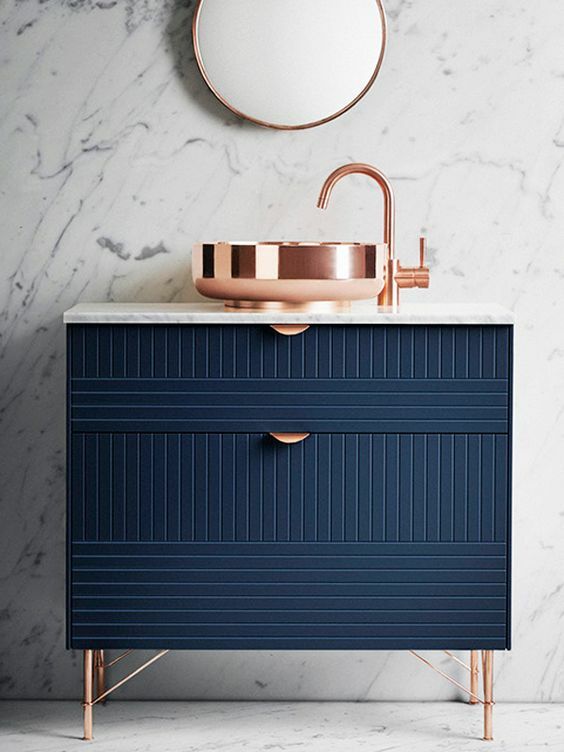 Upgrade with an IKEA sideboard with fronts, leather pulls and copper legs with Superfront. Those clever Swedes! 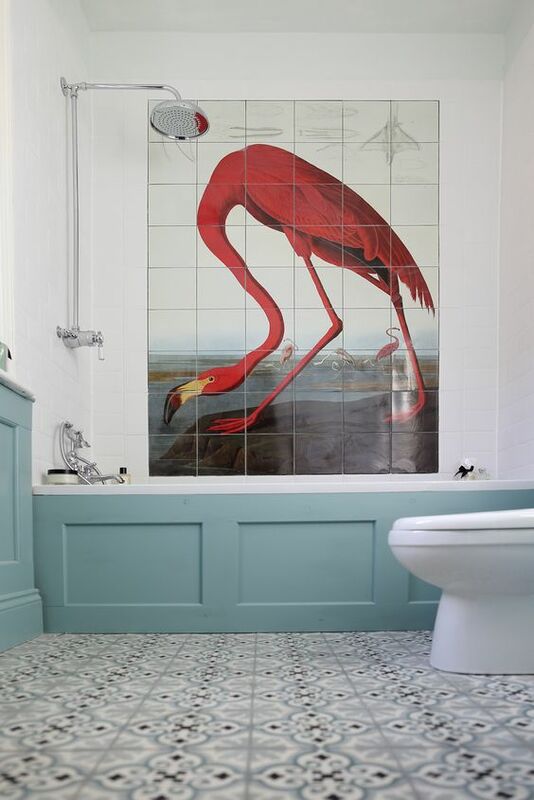 An old watercolour on tiles of a flamingo by an 18th century French ornithologist makes this bathroom super unique. 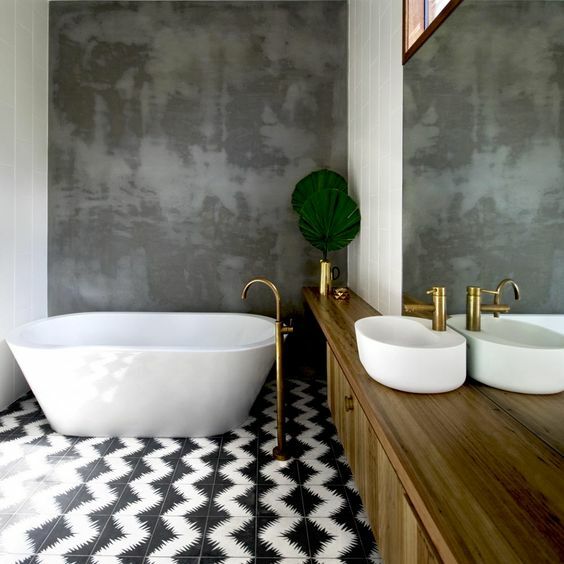 Matt Black hardware with a minimal colour palette. Heaven. I love the old painting, blue and yellow floor tiles, Saarinen stool and 18th century French Vanity. What a combo! Because sometimes you just need some fresh air. An idyllic Swedish cottage with outdoor shower.